As proponents of the traditional style of shaving with a single blade, brush and soap, we thought it was about time we finally sent out a box with the final piece of the puzzle: a hot towel! It’s time to sit back, relax, and enjoy the calming sensation of a proper barbershop style shave. On top of this we have featured a shaving soap and pre-shave oil from two long established brands in the wet shaving industry. There’s still a few days left to enter last month’s competition with Scaramouche & Fandango for a chance to win their “Full Works”. Scroll down to the bottom to see how you can enter. 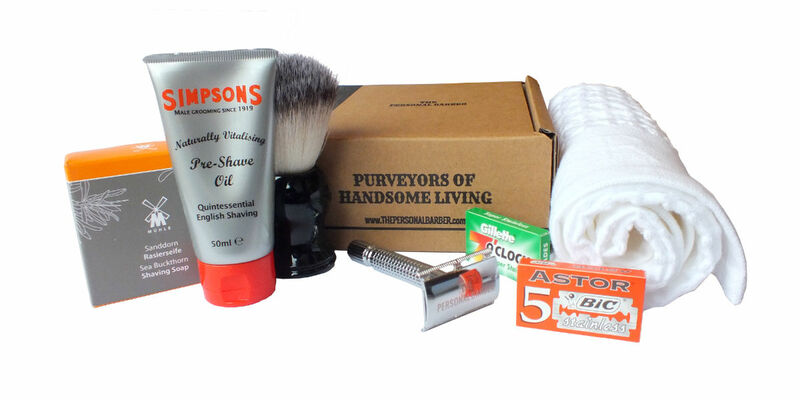 We hope you enjoy this month’s box of traditional wet shaving goods from The Personal Barber. As always, we really appreciate any feedback you give us. We listen to everything that is sent our way (and usually respond within the day) as we want to wow you with every box that goes out. 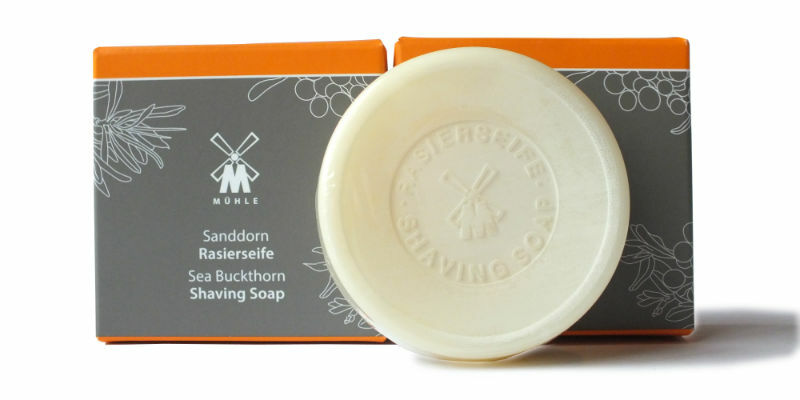 Muhle are a manufacturer from Germany that have been creating wet shaving products for over 70 years, and have a strong reputation for high quality and great design. Their line of shaving soaps are an excellent example of this. 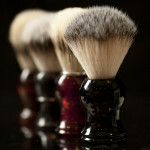 They provide a rich and stable lather that prepares the skin well for shaving and leaves a nice post-shave feeling. They are also triple milled to ensure a consistent, long lasting lather and come in 3 different scents. We decided to include the Sea Buckthorn variant because it is a bit different to other soaps, you won’t find it with other brands. It has a fresh and fruity scent that is really pleasing but subtle enough that you won’t come away smelling like a fruit salad. If you’re wondering what Sea Buckthorn actually is, it is a thorny shrub with an orange berry-like fruit. It’s this fruit that gives it its scent. Simpson are another brand that has a strong heritage of making quality products. Originally from East London, where they started making shaving brushes back in 1919. Since then their range of products have expanded and we are happy to include, in this month’s box, their pre-shave oil. The purpose of using a shaving oil pre-shave is to add an additional layer of protection between your skin and the blade, this then reduces the chance of razor burn and other irritation. 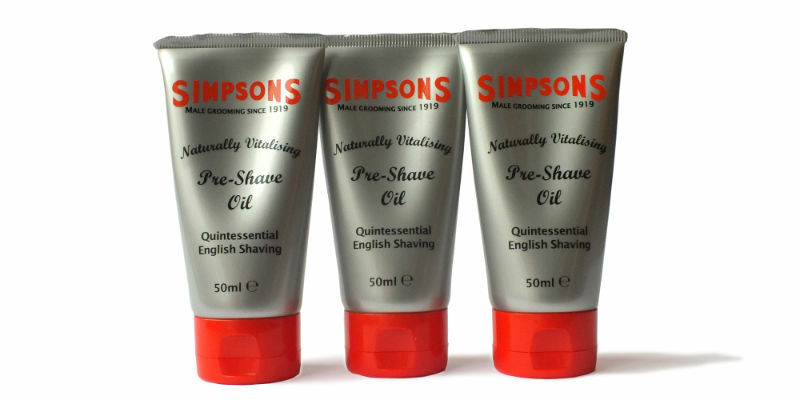 The Simpson’s oil is also designed to soften the beard, making it easier to cut as well as moisturise the skin. We particularly liked this oil because it has a thin consistency which is good to evenly cover the skin without unnecessarily clogging the blade and your pores. Due to this, we also found it comes out of the tube very easily so try not to squeeze when full. An unscented product; it won’t clash with your choice of soap. To use: Apply 4-5 drops into the palm of your hand and then massage into your stubbly areas. Leave to fully absorb for at least 1 minute then apply your shaving lather and shave as normal. Some wet shavers like to re-apply a thin layer between passes. Test it out and see what works for you. We thought it was about time to provide a hot towel, an often overlooked aspect of the proper barbershop style wet shave.. Nothing quite beats the added luxury of sitting back and relaxing as a steaming hot towel is left to sit on the face, softening the hairs and leaving the skin ready for a great shave. 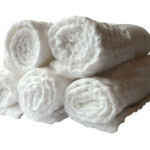 You can use any small towel but this pure cotton waffle pique shaving towel is the perfect tool for the job. 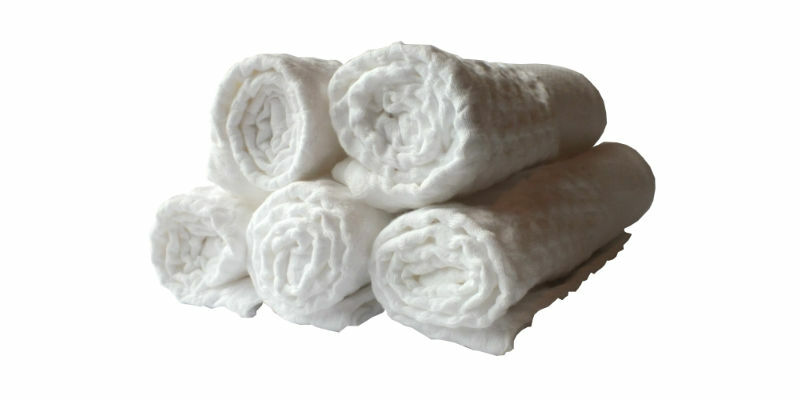 The square relief structure is designed to absorb a lot more moisture than a regular towel as well as more efficiently retain heat. The great aspect of knowing how to create a proper hot towel is that it is perfect for when you want to soften your whiskers for shaving but don’t wish to take a shower. It can take slightly longer as there is a little bit of preparation (depending on how long your showers are) but you may find that the pleasure of a hot towel is so enjoyable you’ll incorporate it into your daily routine. Or perhaps just an indulgence reserved for the weekend. To use: Soak in very hot water for 15 seconds, wring out the excess and then apply to the area to be shaved until it has cooled down. It takes a minimum of 3 minutes for your beard hairs to fully absorb water so you may need to repeat this process 2 or 3 times to reap the full benefit of a softened beard. If your tap isn’t hot enough you can use water from a kettle. Let it cool until it is safe to touch. Obviously, common sense must apply when using hot water. Please DO NOT apply a scalding hot towel to the skin, always double check it is safe to touch first. We have put together our full guide on achieving the perfect hot towel shave here. If you’re new to our wet shaving subscription box you may not know that the double edge razor blades that you use can make a huge difference to the quality of your shave depending on your beard and skin type and the brand of blade. Each brand is made according to that particular company’s standards and manufacturing techniques and so each gives its own unique shave. Furthermore your hair thickness and skin type will decide which blades work best for you. In general you”ll find that the thicker your hair, the sharper the blade you’ll need however there is a trade-off in that a sharper blade carries the risk of irritating the skin. Our subscription box usually includes 2 different brands of blades each month so you’ll have plenty of opportunity to find the blade that works for you. 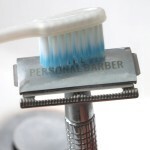 These blades are known as “Gillette Greens” within the wet shaving community to distinguish them from others in the “7 O’ clock” range of Gillette blades. These particular blades are made in Russia and have a good reputation for providing a consistent, smooth shave. 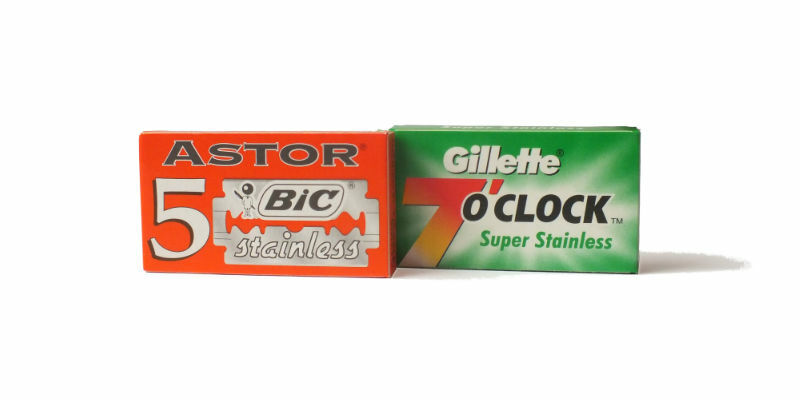 Astor are made by BIC in Greece but are separate from the other BIC brand of blades. These are a solidly performing blade, relatively sharp and last for an above average number of shaves. EXCLUSIVE COMPETITION FOR SUBSCRIBERS – JUST A FEW DAYS LEFT TO ENTER! 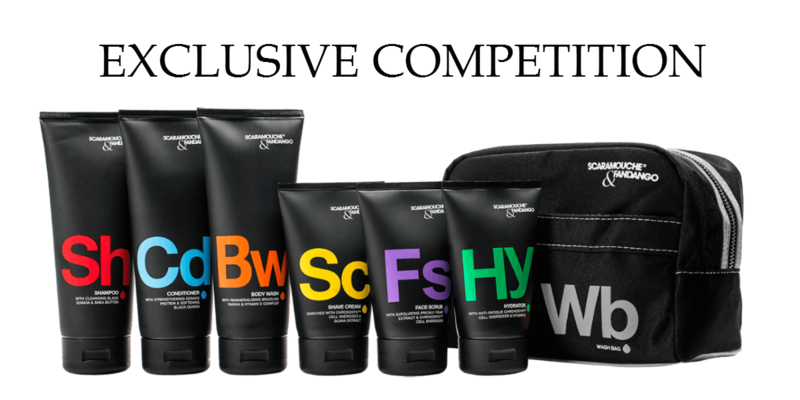 We’ve teamed up with Scaramouche & Fandango to offer our subscribers a chance to win their “Full Works” which includes their full line-up of skincare and body products and a wash bag with a total value of £63. This is a great line-up of products from an award-winning British brand. Good luck! All you have to do is send us a picture of your box of shaving goods you’ve received or, better yet, a picture of you holding up your shaving box! Post your picture to any of the main social media pages and tag us in for your entry to be counted. Only one picture/media channel is necessary to gain an entry, no need to post on all of them. Competition ends August 31st 2015. The Winner will be contacted via their social media page and we’ll put up an announcement on our pages. 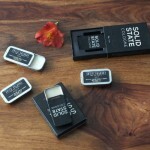 We want to spread the word of the benefits of wet shaving as much as possible. 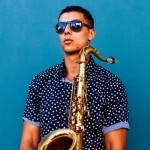 We may use your picture on our website or in a social media post to show off all our handsome subscribers.